Last Saturday I ran a Rogue Flashbender workshop in NYC, shooting in Madison Square Park. We met at Calumet Photo and then headed over to the park. Then we moved across the street and used 3 lights. Main is a large flashbender with diffusion panel, fill is a bare large flashbender, fill from left is a grid with a 1/2 CTO gel. We had great fun and success in the city shooting guerilla style at Madison Square Park and in front of the Credit Suisse building. 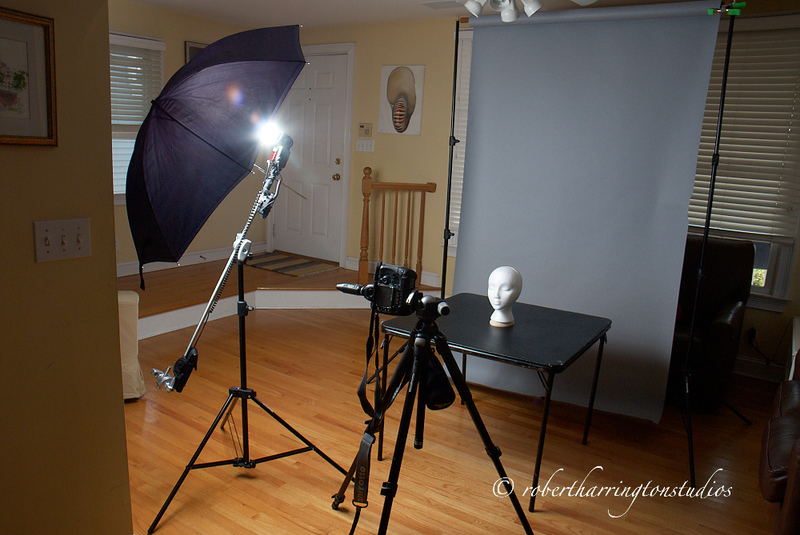 Tomorrow is my 8 speedlight glamour workshop. Interested? Contact me at 203-641-2880 or rvh34@hotmail.com. 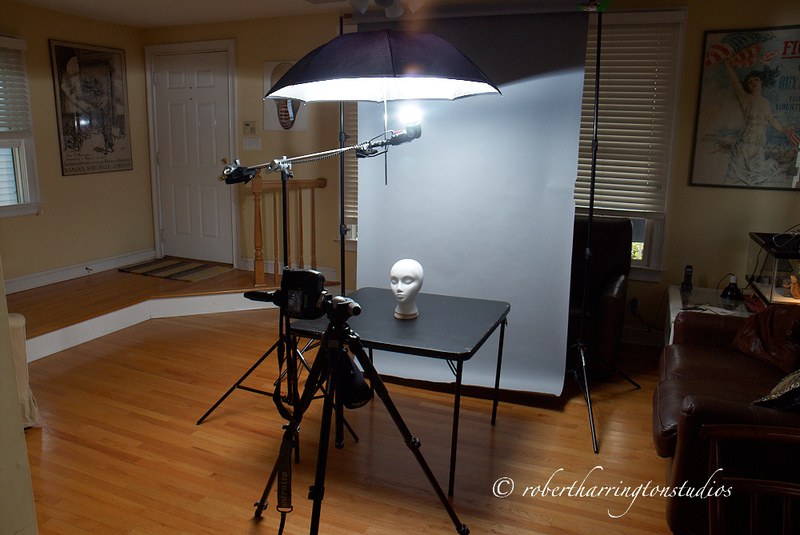 I’m using everything in my OCF kit with 8 lights, then four lights, ending with just one light. There’s still a few spots left! If you are in Southern NJ or in Philly, check us out. It is a shooting event, so bring your cameras! That’s it for now. I hope to see you soon! I’ve just become a Totally Rad Actions Radvocate. If you are using Photoshop CS3 or above, you should be taking advantage of the Actions Palette for your post processing work. Totally Rad offers some of the best Actions for your photos. I just got Portrait Retouch V.2, and it is the best retouching software I’ve ever used. It beats, hands down, Nik, Portrait Professional, and Perfect Portrait. I can do a retouch in 1/10th the time it used to take. Here’s a sample form Emily’s Actor Headshot sitting. That’s it. In about a minute I was done!! Go to: Totally Rad and type in the Discount Code: 1434RHSTUDIOS for your 15% off now! I seem to be becoming a bit more of a gear blogger as of late. Well, with that, if you haven’t checked out Totally Rad Actions Pro Retouch V.2: you should! 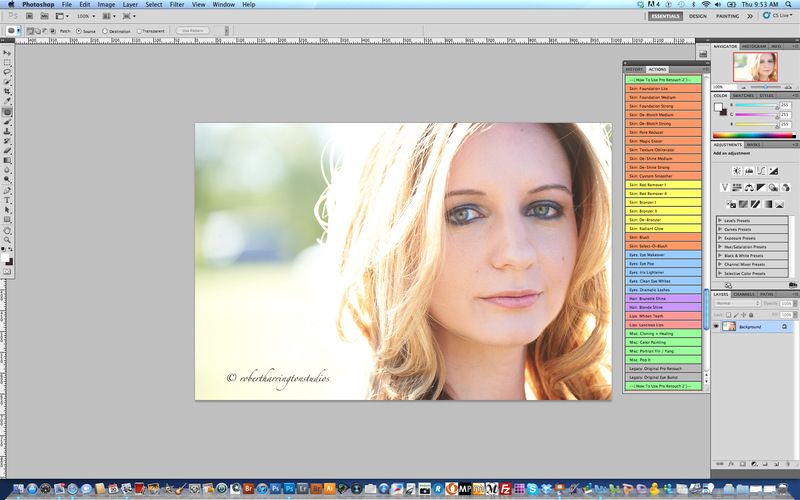 I absolutely abhor retouching, I mean I hate it! Removing stray hair, sharpening eyes, softening skin: this is what I hire a retoucher for! But, I recently discovered and bought Totally Rad Actions Pro Retouch V.2, and I have to say I have a new-found liking, not love, of retouching as it’s never been easier! If you like actions, check out Totally Rad as they have my four favorite actions of all time: Bitchen B/W, Luxe Hard, Boutwell Magic Glasses, and Troy. Actions are used in Photoshop. In the actions palette you simply select what you want done and presto, chango it’s done. The actions are color coded so you can get to work quickly. Then I used Totally Rad’s Luxe Hard, ran the action, then dropped the opacity to 50%. That’s it! The great thing about the action set is that each action exists as a layer, so you can paint the effect in wherever you want it and then drop the opacity to increase or decrease it’s strength. On Monday I ran a sponsored shooting event with BH Photo Event Space on the High Line. Never heard of or been to the High Line? It’s the coolest walking park that sits above the streets. It is the old abandoned rail line that serviced the Meat Packing District until the early 80’s. A conservancy took it over and turned it into a park above the streets and it is way, way cool. 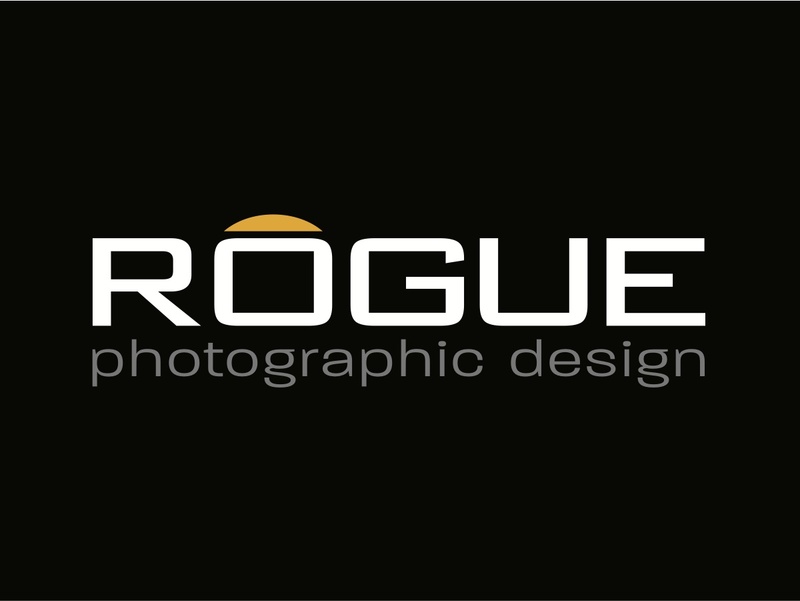 The event was sponsored by Expoimaging and their Rogue Flash benders. We shot on the High Line using the small flashbender, large flashbender, and a grid. Here’s a few proofs from the day. I’m shooting this weekend at TF Camera in Vineland, NJ. 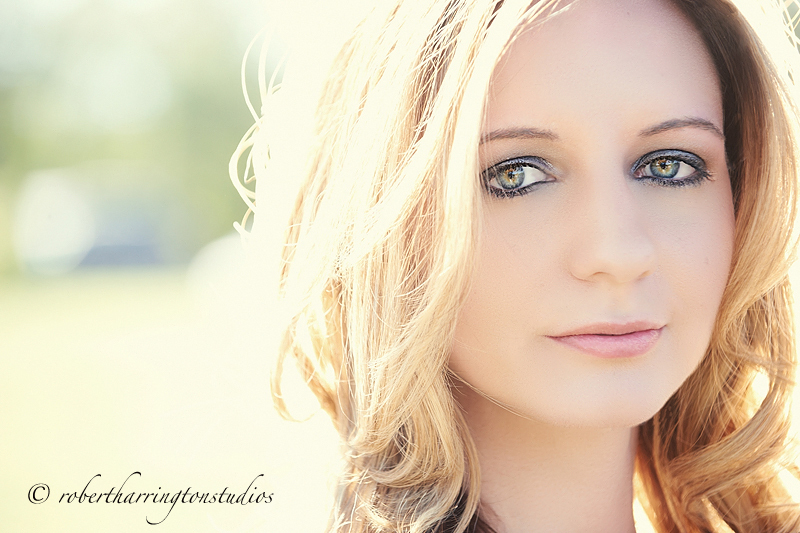 There are a few spots left for this upcoming shooting workshop. That’s it for now, I hope to see you soon! One of the most often asked questions from beginning OCF photograhers is: how do I get someone to pose for me? Why try and coax, cajole, or make false promises to someone who doesn’t want to be there in the first place? 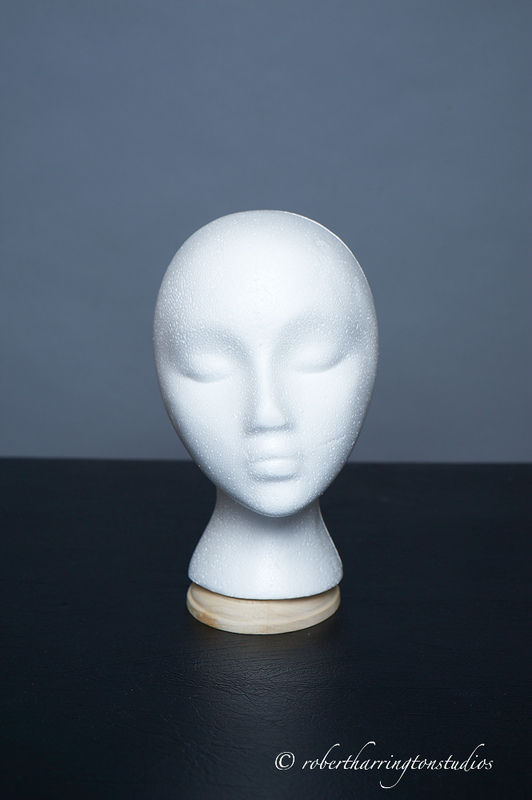 Instead head to your local beauty supply and purchase a styrofoam head. 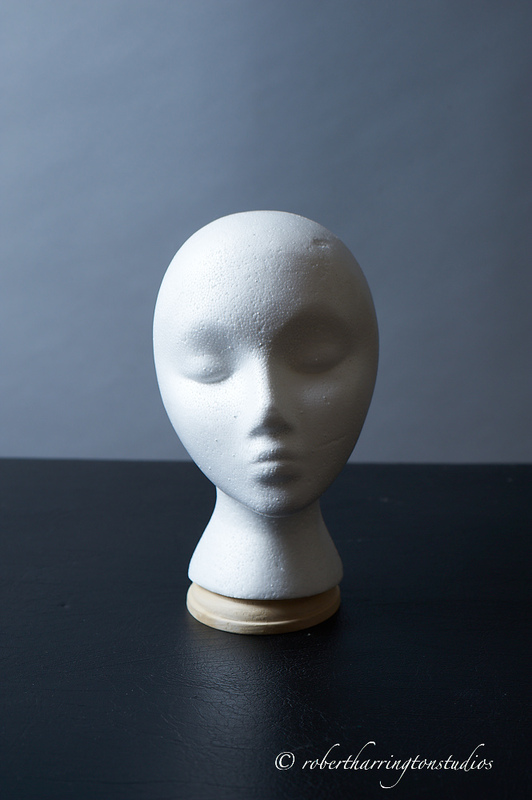 I named my foam head Sally because I purchased her from Sally’s Beauty Supply. Take that foam head, which doesn’t talk back or give an attitude, set it on a table in your living room, dining room, or kitchen and set up your light and shoot. You can see how light position affects exposure and how light actually interacts with your subject’s face all in a quiet and peaceful and stress-free environment. Heres my first shot and behind-the-scenes. Here I used the umbrella reflective style, but you can and should do both reflective and shoot through to see the differences. 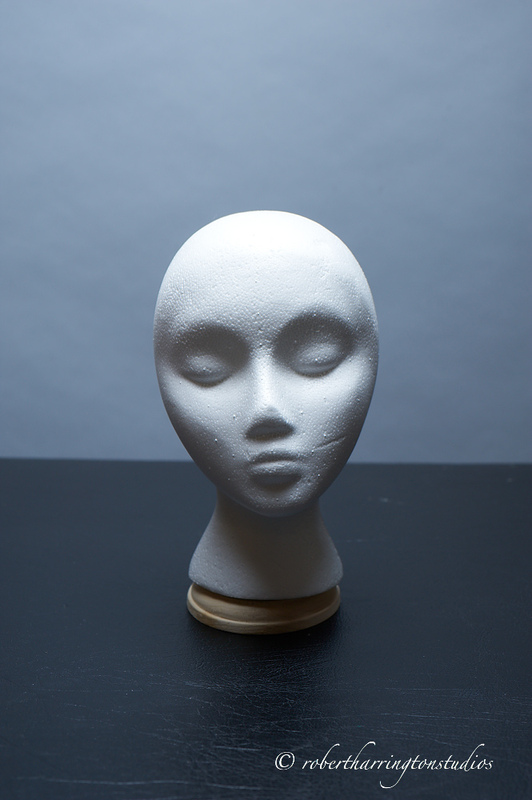 For about $5.00 you can have a full-time posing tool that doesn’t talk back or give you a look or attitude! Priceless! That’s it for now. Till next time, happy practicing! 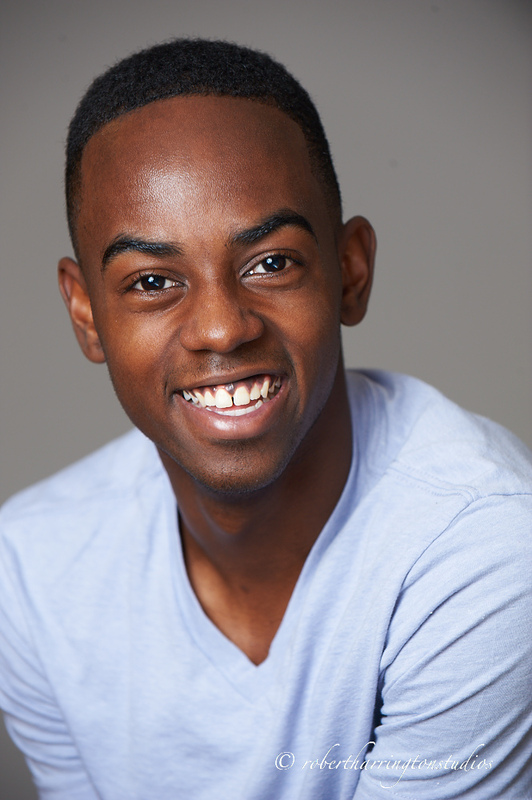 Khaleel came in for his Commercial headshot. Here’s my total favorite of the day. 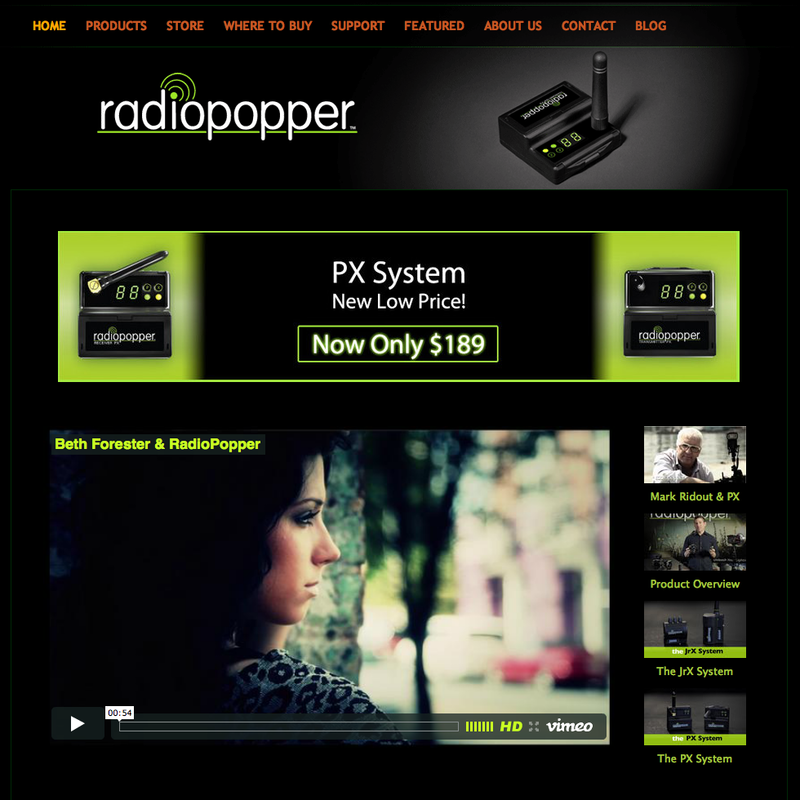 Right on the heels of my RP PX review, I got an email that said RP’s are now on sale from $249.00 to $189.00. That’s a great price if you are in the market right now! At the beginning of Summer I made a decision to explore other radio triggering systems beyond the industry standard Pocket Wizard’s. 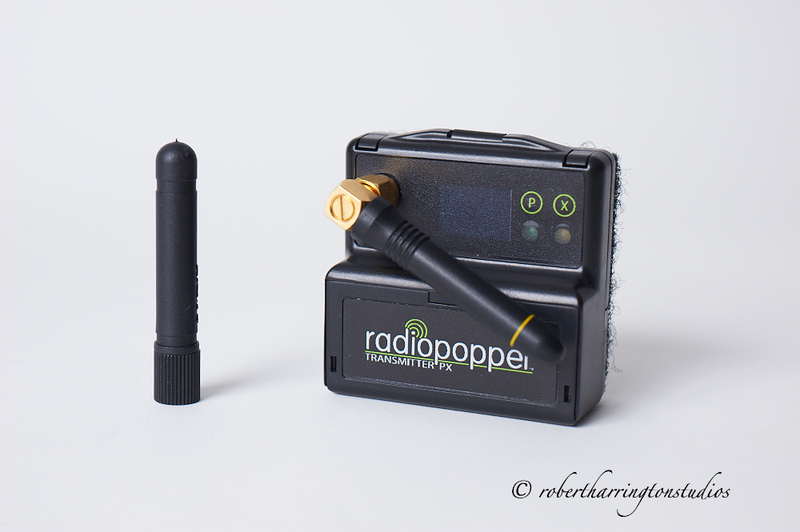 I wanted a to stick with TTL and chose Radio Popper’s. I saw numerous videos and read tons of testimonials online before I decided to take the leap and add RP’s to my kit. 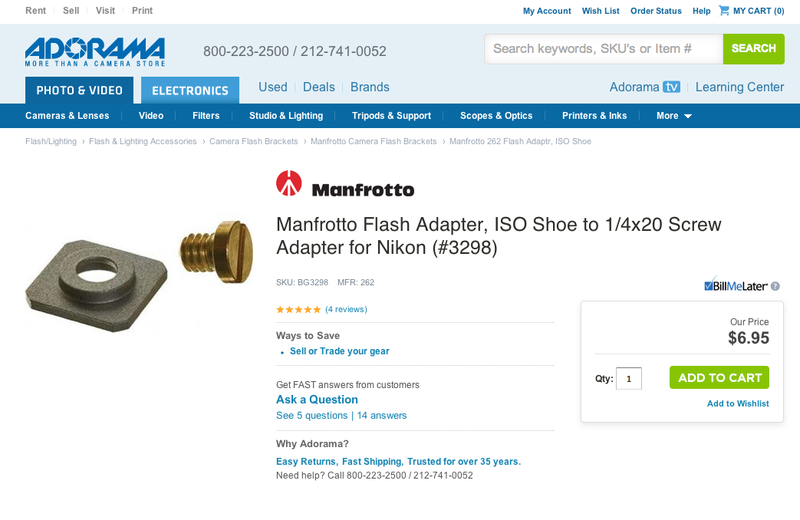 First the caveat: this is as unbiased a review as I can give, it is for most RP users or photographers thinking of buying RP’s, and it favors Nikon but there is information for you Canon shooters too. The RP system is quite ingenious in that it takes Infrared from the master, turns it into radio frequency, sends it to the receiver, then the receiver translates radio to infrared to fire the flash. This is quite a feat of electronics in a small package and you have the ability to use your camera’s TTL system. However, there are a few things you should do and be aware of upon opening the boxes and getting started. 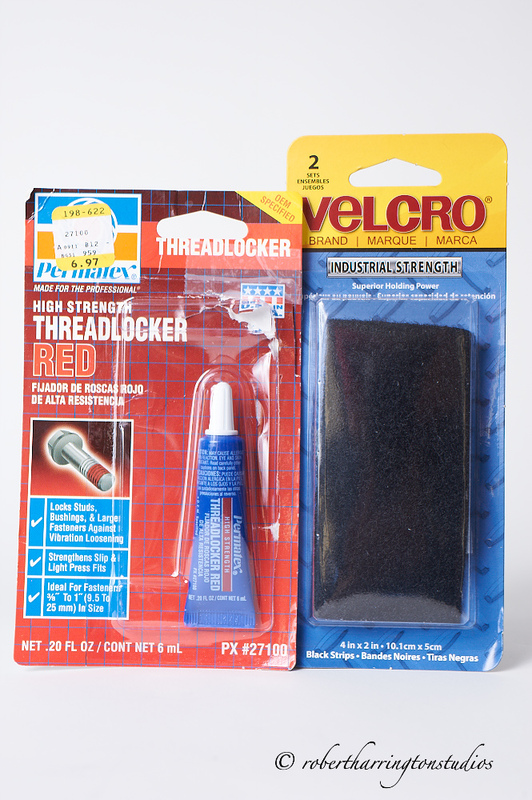 Go to a hardware store or home center and buy a small tube of Loctite and Industrial Strength Velcro. Then purchase this adapter bracket for the bottom of the RP bracket. Then, put a dollop of Loctite on the screw and install on the bottom of the bracket. Do this so you can use existing OCF bracketry and don’t have to purchase anything specific to the bottom of the RP bracket. Next, take a swatch of velcro and completely cover the bottom of the RP transmitter. Do this because if you swap between flash units, like SB910 or 800 as master or slave, you can mount your transmitter anywhere on the unit easily. 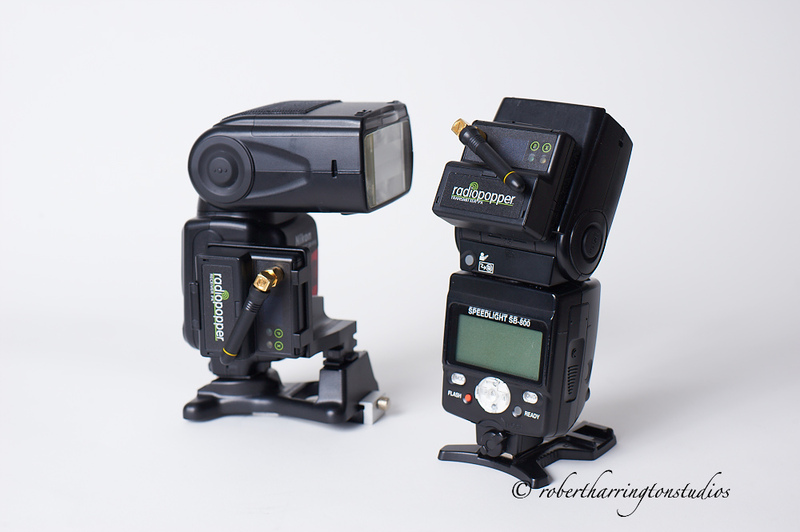 Then, add big swatches of velcro to your flash to mate your transmitter in multiple locations as you may find it works better in one spot over another. After you’ve gotten this far, purchase the replacement angled antenna to get rid of that bulky, hard-to-store vertical antenna that the transmitter comes with. FCC rules in the U.S. state that all antenna’s need to be vertical, but after you purchase the unit, don’t let yourself be hemmed in by a poor choice made by others. Now we are ready to shoot, or are we? 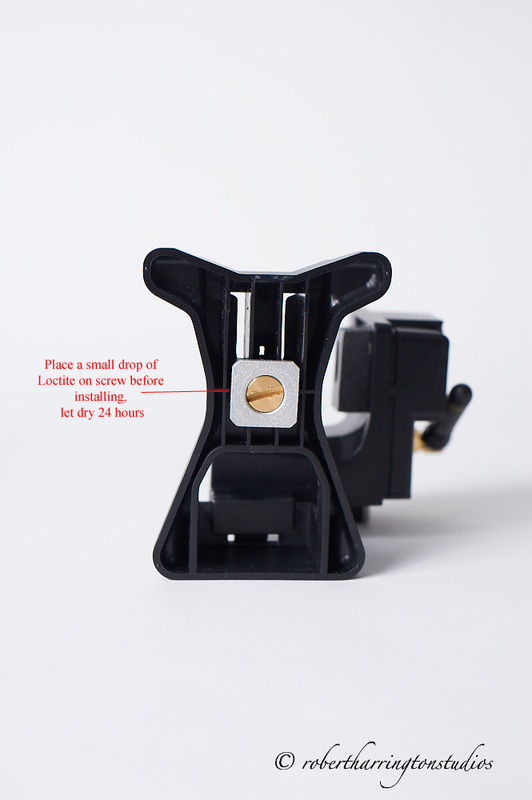 For Nikon shooters like me, you need to be aware of one thing on the receiver bracket. My first impression about the receiver bracket was: REALLY? These guys designed this way cool system and the best they could do was this bulky bracketry? Once I set it up according to their specs, using the indicated SB900 slot for assembly, I found the units misfired a lot. Reason: the SD9 battery pack. I shoot with my SD9 on my 910 all the time. 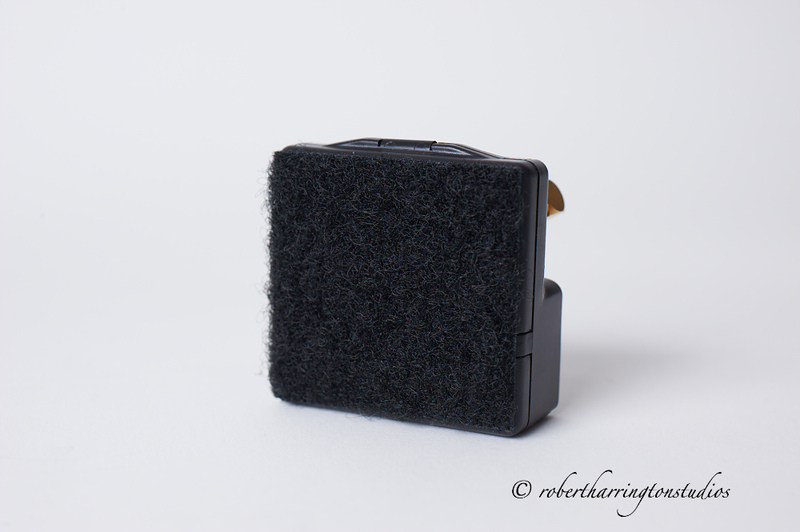 If you shoot a lot of OCF, you’ll need the pack. The battery pack plug interfered with the upper bracket and caused it to sit on an angle so the IR sender didn’t align with the IR receiver on the flash. 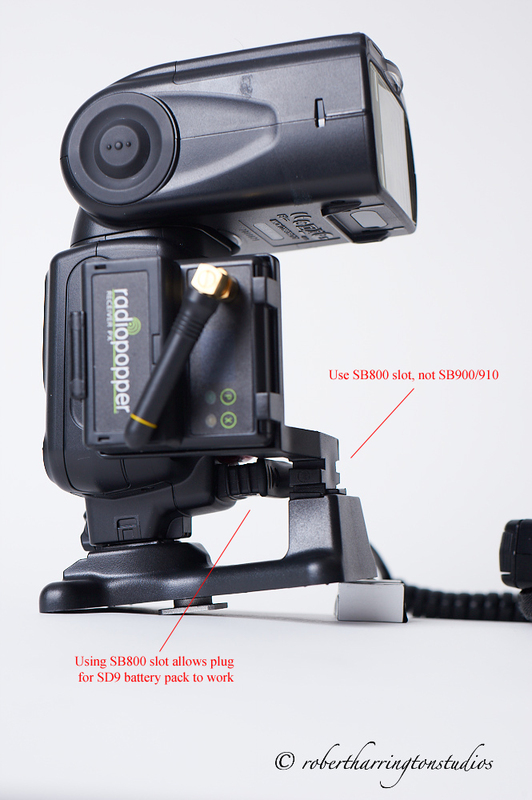 Fix: assemble the RP bracket to the SB800 setting and the SD9 will work, the IR works, and misfires are kept to a minimum. Also, if you find you need to, you can take a drill and open the hole up a little bigger on the bracket to get better signal transference. I didn’t need to do this, but it is an option. 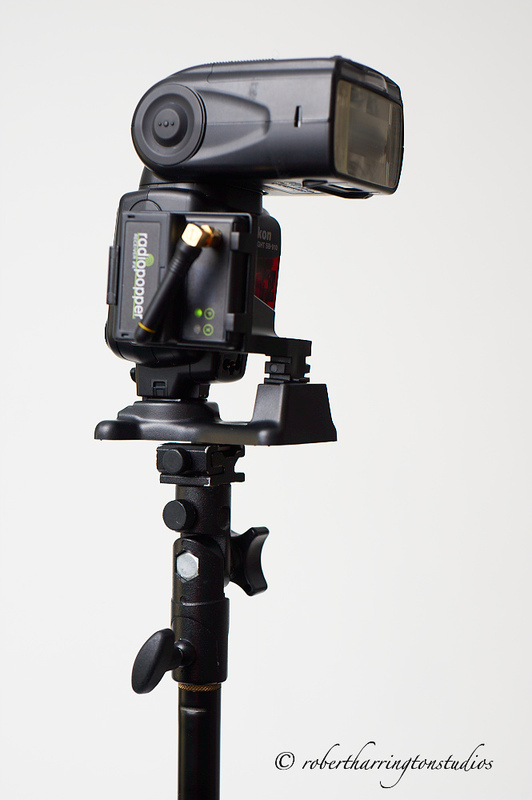 Now we assemble everything and go forth to make great images in TTL flash and especially using High Speed Sync. 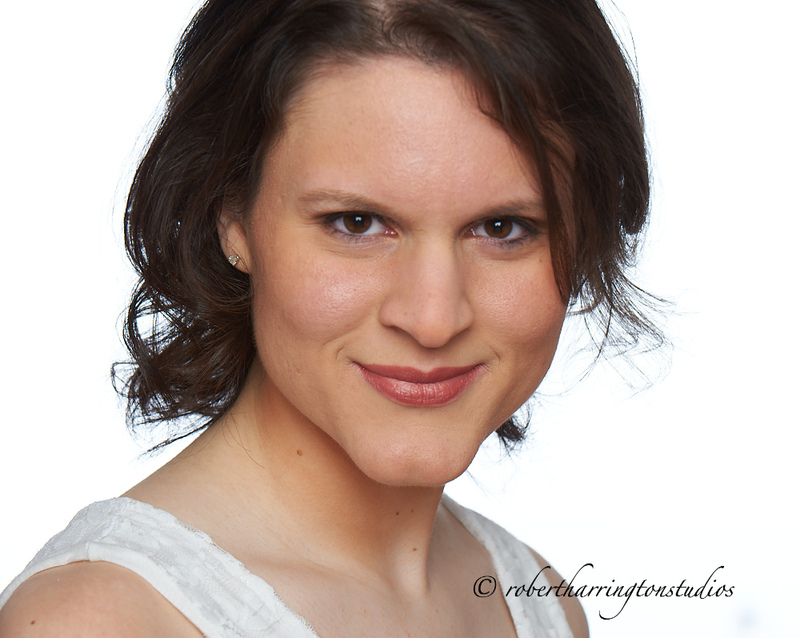 I met one of my models before a workshop and took a few test shots using TTL and High Speed Sync. All of these shots were take with High Speed Sync, bare head flash, SB800 as master, SB910 as slave. The system worked as advertised but is not without flaws. I like these units better than my PW Flexes. The RP’s have fewer misfires and seem to handle all I can throw at them fairly well. The batteries last longer and I can use my units successfully overhead. One complaint on the PW Flex TT1 is that the button battery in the unit didn’t last very long. I had the unit shut down at a wedding due to this: very frustrating. One of my other main complaints about the PW Flex is that once the weight of the flash sits sideways, the contacts don’t meet and the units misfire. 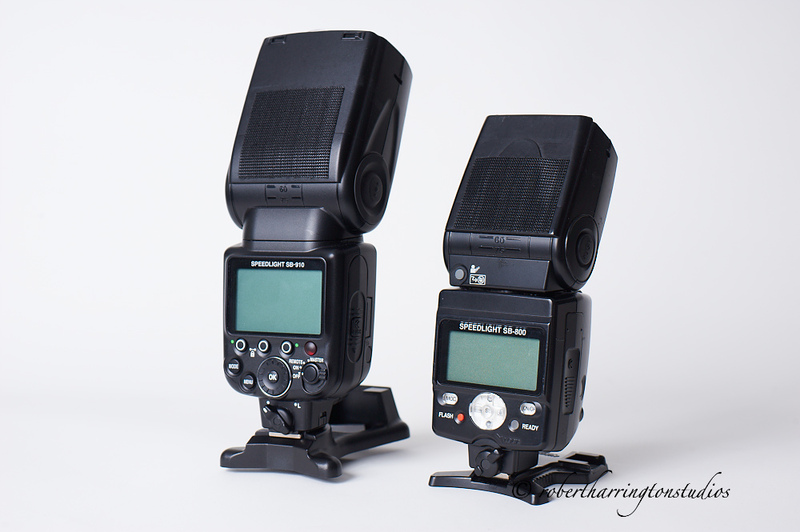 I shoot with overhead flash a lot and this became an issue for me. The RP’s are comparable in price to PW Flexes so the choice is up to you as to which one you’ll spend money on. 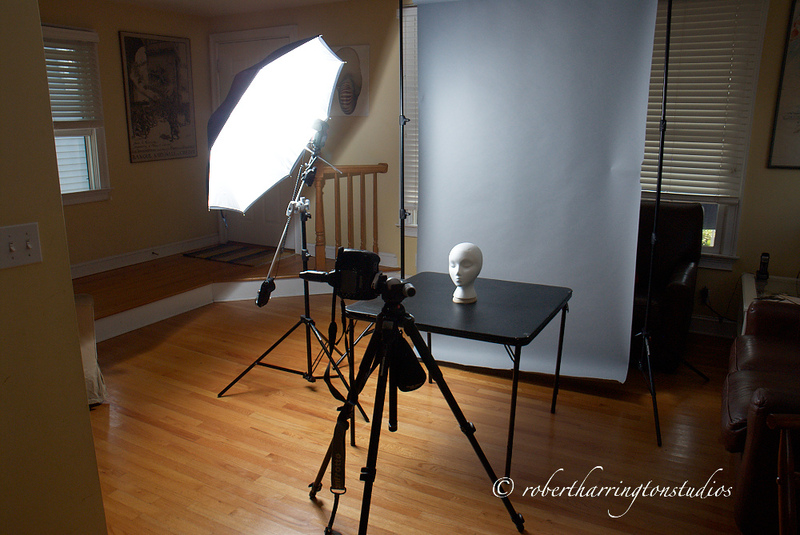 These shots were taken after my test shots above, and the BTS shot shows how I use my main light. 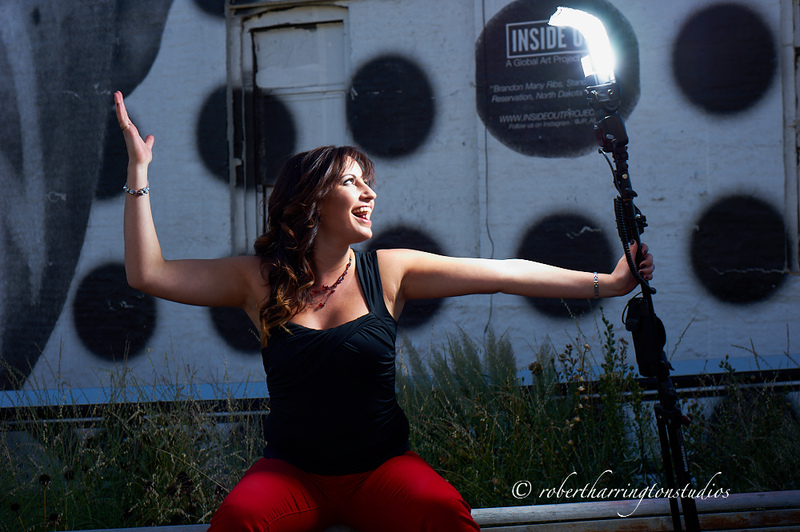 As this was a workshop, I used regular PW’s; if this was a pro shoot, I would have used RP’s. Here’s another set of shots I did for portfolio. 1/400 @ 5.6 ISO 200 using a Large Rogue Flashbender, which ate up a lot of light. Notice how the light is above and off to the side of the model and is bent to direct the light off the background and only onto the model. That’s it for now. Till next time, happy spending! !